The hype of the smart cities is unstoppable and everybody discusses about how the technology will improve our daily life. As pioneer in the Internet of Things and Smart Cities market, Libelium offers new strategic content with a series of quick reports to bring up and summarize the benefits and characteristics that the IoT technology provides to improve citizens’ quality of life. Read more. 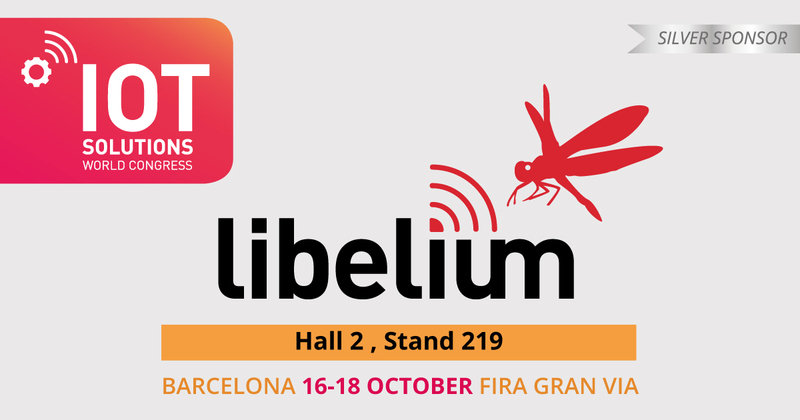 Committed to the continuous quality improvement of its wireless sensor platform, Libelium releases at Intertraffic a new enhanced Smart Parking Sensor Node, to detect available parking spots, now able to deliver 99% accuracy. Committed to the continuous quality improvement of its wireless sensor platform, Libelium releases a new enhanced Smart Parking Sensor Node, to detect available parking spots, now able to deliver 99% accuracy. The smart parking device runs on a magnetic detection system, supported with a cloud software system that evaluates the received signal strength indication (RSSI). The new sensor is equipped with IP68 waterproof and robust enclosure. It allows twofold installation deployments as it can be screwed on the surface or installed under the ground. Read more. Ten minutes searching for car parking several times daily means more than 240 hours per year, and an average of 700 complete days in your life. the French company Synox has shared all its knowledge and know-how to Montpellier Mediterranean Metropolis with new and innovative urban services and particularly a smart parking solution, developed with Libelium’s technology, named “Connected Parking”. Read more. The Sigfox Demo Center is located in Dubai Silicon Oasis where the French company opened an office in 2015 to manage its network roll-out in the MEA (Middle East and Africa) region. Lbelium has contributed to the IoT showroom with smart solutions for urban developments with Waspmote Plug & Sense! Smart Parking and Waspmote Plug & Sense! Smart Cities to manage traffic congestions, detect available spots, control air and noise pollution and monitor ambient conditions. Read more.